For nearly 40 years the City of Berkeley Marina Experience Program has provided high quality hands-on environmental education programs for school children and teachers. The Bay Interpretive Training Program (BayIT) was developed in 1985 to train volunteers in nature education techniques to assist Nature Center staff in teaching children and adults about Bay ecology. Summer programs feature marine biology & boating weeks. Our training begins in October and continues until March. Trainings are ongoing; you may join the program at any time during the year. It involves hands-on training sessions covering such topics as the history of the bay, marine habitats, and bay shore flora and fauna, with special emphasis on how to teach and use artifacts and live animals. The cost is $65 - This covers the training materials, nametags and 1 boat trip. 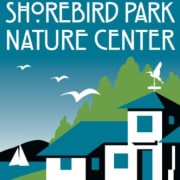 Would you recommend Shorebird Park Nature Center?